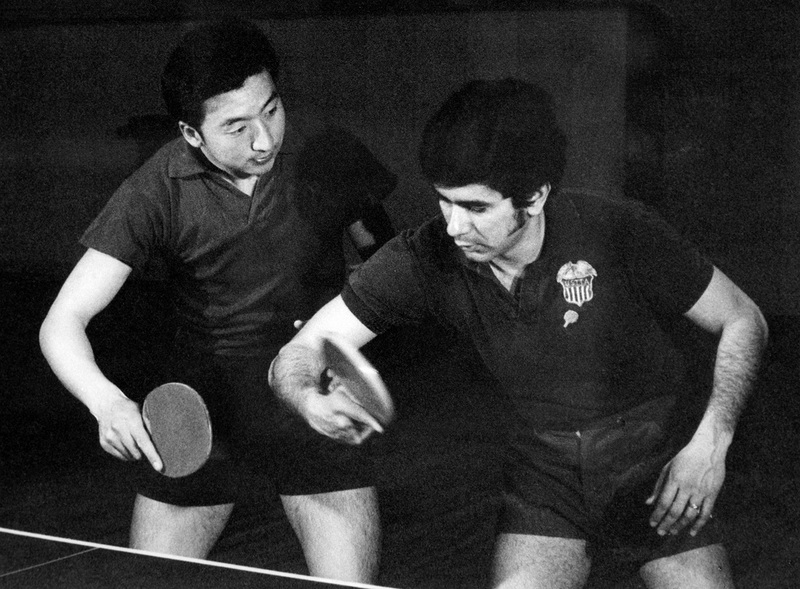 An American and a Chinese tennis table player train together in April 1971 in Beijing. In this week’s episode of Sinica, we are proud to announce that we’re joining forces with SupChina. We’re also delighted that our first episode with our new partner is a conversation with President Stephen Orlins and Vice President Jan Berris of the National Committee on United States-China Relations, recorded at their offices in Manhattan. Since 1966, the same year that China’s Cultural Revolution began, the National Committee has been the standard bearer for a deeper understanding of the increasingly vital relationship between the United States and China. This month marks the 50th anniversary of the organization’s founding. From 1976 to 1979, Orlins served in the Office of the Legal Advisor of the U.S. Department of State, first in the Office of the Assistant Legal Advisor for the Bureau of Political-Military Affairs and then for the Bureau of East Asian and Pacific Affairs. While in the latter role, Orlins worked on the legal team that helped set up diplomatic relations with China. Berris has been a major force behind the visits of hundreds of American and Chinese delegations to each other’s countries, including a journey undertaken in 1972 by the Chinese table tennis team, part of an exchange that became known as Ping-Pong Diplomacy.